Fire crews were called to a house fire in Moray this afternoon. Users of a Moray harbour have hit out at the local authority for its "shocking" condition after a boat became beached on a sandbank. Four pupils from Hopeman Primary School have come top of the class in the region after winning a Moray-wide quiz. 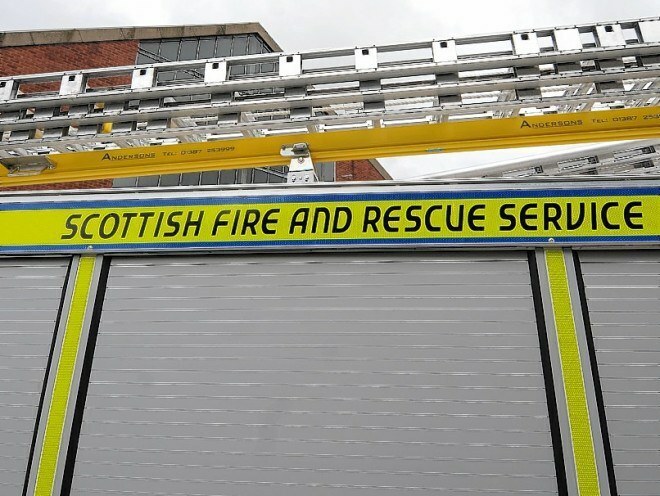 Firefighters have been called to a blaze in a Moray home. Moray's Council's £2.5million dredger has been labelled a "dramatic failure" two years after it was launched to much fanfare. Sand from beaches in Moray will be taken to France next month to remember 10 men who died during the same day of fighting in the First World War. A senior planning officer at Moray Council believes assigning “special” status to some of the area’s most spectacular landscapes will help support some of the region’s most important industries. Youngsters in Moray schools will be given the chance to learn the pipes and drums after receiving a funding boost from a national music charity. Fire crews have been called to battle a wildfire along the Moray coast. Firefighters have again been called to battle a gorse blaze at a Moray village. A Moray housing development that was unanimously rejected by the council could now become part of the authority’s housing stock. A sum of money worth around £250 was stolen during a break-in at West Beach Caravan Park in Moray. Firefighters last night continued to monitor a gorse blaze which has burned through shrubbery along the Moray coast for days. A helicopter was drafted in to extinguish a massive wildfire at a Moray quarry last night - more than 24 hours after it first broke out. A fire that broke out near the Clashach Quarry yesterday is now being treated as suspicious. Fresh warnings have been issued about gorse fires on the Moray coast after firefighters were called to a village for the second time within a month. Warnings have been issued about wildfires in Moray amid fears there could be more blazes throughout the summer. Firefighters have been sent to a village on the Moray coast to extinguish a gorse fire. A Moray whisky worker diagnosed with an incurable genetic disease has set up a group to support others with the illness. A defiant landowner at the centre of a planning dispute has vowed he will not be moving anywhere despite a failed appeal to the Scottish Government. A Moray road has re-opened after it was closed overnight because of flooding. Police announced the closure of the B9040 Lossiemouth to Hopeman road at 6am in order to protect temporary flood defences on the road surface. Diversions were in place before the road re-opened at around 8.30am. A devastated Moray campaigner has accused the Scottish Government of ignoring local views to meet housing targets by approving a development – despite more than 250 objections. Moray villagers fear their homes are being left at risk of flooding while a wrangle over defence scheme is settled.